I first heard about this lovely prayer, assembled directly from Scripture by John Piper, from Jean. She suggested it as a good one to pray prior to reading the Bible. I copied it out on the front page of my Bible and have used it almost every day before reading the Bible ever since. I recently looked it up on John Piper's blog to find it mentioned in an article about how to pray for the pastoral staff at his church. It turns out he uses the IOUS prayer to pray for those close to his heart. It is a beautiful way to pray for those we love - great prayers to pray for others and ourselves - as well as for our own times reading God's Word. The Marilynne Robinson trio. It sounds like a jazz ensemble! But no. This is a trio of three great novels. Last year I read Gilead by Marilynne Robinson. First published in 2004, it is a letter written by Reverend John Ames to his young son. Ames has discovered he has a heart condition that will take his life, no doubt soon and without notice, and he wants to write down all the things he wishes his young son to know - things he would have shared over time as his son grew up, had he had the opportunity to live a longer life. And it is a wonderfully written novel. It moved along so slowly, and yet it was a page turner. It was oh so gentle, but not light weight by any stretch of the imagination. Full of peace, compassion, deep love, honour, loyalty and lived out, deeply understood theology. Beautiful holiday reading! A thread in the story is the relationship John Ames and his family has to Robert Boughton, a fellow minister in the town of Gilead who has been Ames' friend since childhood, and his family. In 2008 Robinson published Home, which unveiled what was happening withing the walls of the Boughton household during the days and weeks described in the pages of Gilead. I somewhat courageously opened the first page of Home within an hour of closing the last page on Gilead. Always a risk. 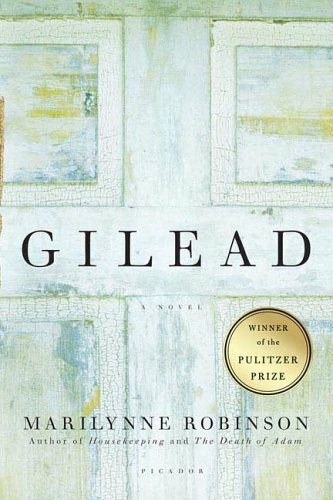 Gilead was so enjoyable - one of those books where I slowed my reading pace right down in the last twenty or so pages to prolong reaching the last page. But I wasn't disappointed. Home is equally compelling, but grittier - and a much sadder story. Where Gilead was full of hope, Home felt desolate. But Robinson has crafted the story well. I didn't finish the book in deep despair. Desolate but not despairing. Just like Gilead was slow but still a page turner. That was last year. 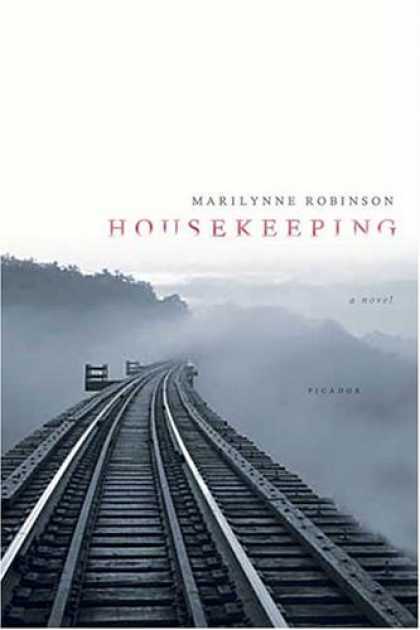 This holidays I have been reading Housekeeping, Robinson's first novel, published in 1980. Whereas I was hooked into Gilead within a page or two and Home within a handful of pages, I didn't really get into this story until about a third of the way through the book. The thing that kept me going was her use of language. She has the most extraordianary vocabulary and a classical turn of phrase. Housekeeping is a book about family life, based on the idea that the place where we find love and growth and nurturing is the family home. But this story is about what happens when tragedy eats away at the fabric of the family home. When there is an illusion of keeping house - but not the keeping of a home. It's life at the edge of madness. Life where transcience, loneliness and loss prevail. And yet, right at the end there was a glimpse of the deep connectedness that exists within families. Not a happy read, but a fine book none the less. So that's it for fiction for now. School starts in week's time and it's back to non fiction for the next ten or so weeks. Today we finish our two annual weeks of Vac Swim. Both boys had lessons this year - AT THE SAME TIME!!! On the first day I cast around looking for families we know - and was quietly pleased (I confess) to find that I didn't recognise anyone at the pool. Which freed me up from conversation to pack my mp3 player in the bag of stuff on day two through ten. Half an hour to listen to sermons for nine days running. So I've been taking my spot on the bench each day, midway down the pool, doing a fairly good impersonation of someone watching a tennis match, as I keep an eye on two different swimming lessons at opposite ends of the pool. And I've been listening to three wonderful sermons. Personal Prayer by Tim Keller. Hearty thanks to Ali for recommending this one. A great sermon exhorting us to daily prayer with lots of helpful examples and ideas. I'll probably refer to this sermon a few times down the track. Holding Fast to the Word of God in 2010 [and 2011 and beyond!] by John Piper. A great sermon exhorting us to daily, diligent reading of God's Word - not a slavish, duty bound reading of the Bible but meaningful, nurturing reading. This sermon was based on a passage from Philippians (ah, how I love Philippians) and as it turns out, was delivered last year on my birthday! If nothing else, it was worth listening to it just to hear John Piper read the whole of Philippians at the beginning. I don't think I have ever heard it read so beautifully before. Very moving. But don't stop there. The sermon is just as moving. These two sermons are great "start of the year" sermons. Good "rebooting" sermons. Probably worth listening to each year at Vac Swim. It's a good thing I don't know how to erase things from my MP3 player!! And then finally, Sustained by Sovereign Grace. How to Endure to the End by John Piper. I was pointed to both of the Piper sermons late last year (thanks, my friend, who directed me to these) and this one, about trusting in the God of amazing grace during times of hardship, became especially topical as we watched the tragedy of the eastern states floods unfold. I have written more than once about the idea of storing up on God's goodness during the good times in readiness for the hard times. This sermon is definitely fits this category - and yet it also has words of great comfort for those in the midst of hardship. I'm not really one for downloading sermons from the internet. In fact this is the first time I have heard a sermon from either of these men! But I have certainly been well fed these last two weeks. And now I am off to listen to the Keller sermon one more time...and to see if the boys passed their swimming tests. Day ten of twisting by the pool, in my own quiet way! 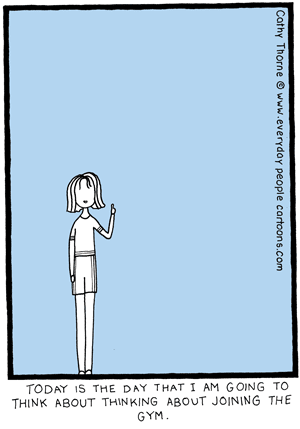 ﻿﻿...even if I make no other plans for 2011, this is the year that I HAVE to factor in some exercise. I have before me a somewhat cleared slate and if I don't timetable some exercise into at least some of the spaces - and do so early on - it may never ever happen ever again. This is not a New Year's resolution. It is a statement of fact. 2011 - Starting it without a list! As I reflect back on the last few years, there seems to be a definite pattern forming. The year starts fresh with new hope, and the quiet month of January provides refreshment and restores energy. I leap into madcap schemes somewhat rashly in this month of quiet and energy - start a blog, join Facebook, sign up to be on the Taste Test team for an edition of a cooking magazine - and also plan for the things that will fill my year. And then life gets going a-new during February - new school year, new groups, new things to do. Things bubble away for a few months with enthusiasm. And then, well, it's not that the enthusiasm runs out, but the weather gets cold, the things that were in the planning stages in committees during the first half of the year need action in the second half of the year, other things crop up, people get sick, life gets busy. The second half of the year is the business end of the year - not a time for new schemes, but a time to get stuff done. And then it starts over again. So, here we are. The first day 2011. I don't have any madcap schemes brewing as yet. But there is still time. The blog, the Facebook account and the email to the cooking magazine all happened spontaneously in mid-January, just after my birthday, so something crazy may yet happen! In terms of a deeper perspective on the year, I am tempted at one level to write a big list of my hopes, dreams, goals, plans and yes, New Year's resolutions and send it out into cyberspace. I DO love a list and I DO love to plan!! And it would be all too easy to fill every moment of every day. Indeed I could overfill a week with ease, such are the possibilities. But I know that I am at the threshold of the fresh, enthusiastic part of the year. I need to remember that just four days ago I was at the very end of the business end of the year and could barely drag myself around for tiredness. And I know that I face another year of transition, as both of our boys will be in school full time for the first time. I think that most of the thinking/work on this subject is done. But I imagine there will be some new, strange and difficult moments to navigate. And my thoughts keep returning to a friend's wise, wise advice to keep a "lazy diary" - making sure we don't over-commit in the early part of the year because things will take longer than we expect, we WILL get sick at some stage in the year and we want to leave time in our lives to respond to the people and the opportunities that God gives us - things nowhere to be found in a year planner on the 1st January, hard as we might try to plan for all eventualities. It's not that I don't feel a sense of optimism for the year to come. I stand here looking out on 2011 with great hope. But this year marks the beginning of a new phase with no small children at home or routine paid employment to head out to each day. I don't want to be overcautious nor do I plan to be lazy in the true sense of the word (tempting as that big, lovely tin of T2 English Breakfast tea leaves I got for Christmas and the new list on my sidebar...oops! there's a list!! !...of books I'd like to be reading during 2011 might be.) At the other end of the spectrum there is the danger of over-progamming the week. There is PLENTY I could be doing but in the end, being spread too thinly helps no-one and leaves no room to respond to the unexpected. So, here we are - 1st January 2011. No lists. Well, there is a list (besides the book list.) It's a prayer list - a list of options and possibilities to be prayed through. And I pray that by February I'll have a clearer sense of what this year is going to look like - and if I don't then I am happy for this to take longer.